This Chop Shop won't land you in jail. The 500 series market is literally exploding with new offerings from both well known companies and new arrivals. 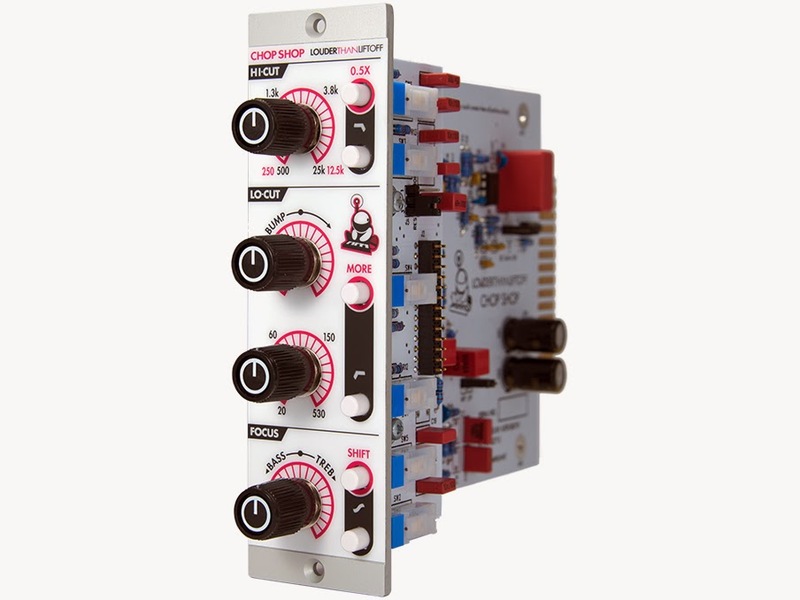 The Chop Shop by the California based manufacturer Louder Than Liftoff is a 500 series tone shaper with an unusual name and vivid faceplate. The Chop Shop comes in white ($349) and Limited Edition Black ($369). I like this company's attitude and I'm sure there will be other products from them. I look forward to trying the Chop Shop in the studio. If the sound is as bold as the looks they've got a winner. 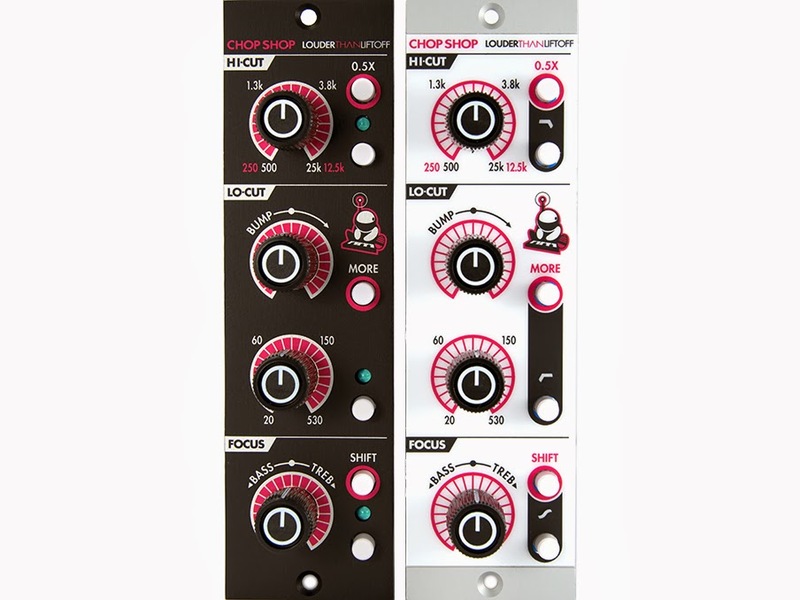 "The Louder Than Liftoff is proud to present the Chop Shop 500 Series EQ available with a white or black aesthetic (limited Void Corp Edition). 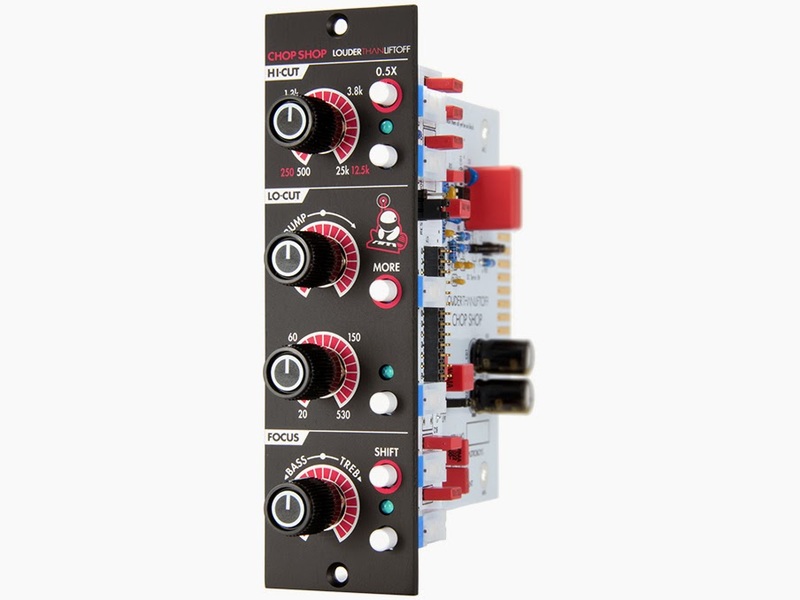 Offering a unique and intuitive set of features for quickly shaping tones with minimal fuss, the Chop Shop empowers you to achieve focus and separation in your mix. It's almost like cheating:"
12 dB/oct filter that rolls off low frequencies, variable 20 to 530 Hz. Jumper selectable "Lo-Rider" mode transforms LO-CUT section into a low-frequency hi-cut section with variable resonance (hint: try this on a front of kick or Subkick mic and blend back in for incredibly deep and massive low end). Variable resonance control for LO-CUT that adds a resonant "bump" at the corner frequency. Response from Bessel (full CCW), to Butterworth (12 noon), to slightly resonant (0.5 dB full CW). MORE switch increases resonance dramatically... sometimes MORE is more. 6 dB/oct filter that rolls off high frequencies, variable 500 Hz to 25 kHz. 0.5X switch shifts frequency range one octave lower, while simultaneously increasing slope to 12 dB/oct and adding slight resonance at corner frequency to retain apparent brightness (defeatable by jumper on PCB).